Composer Matthew Aucoin, whom the New York Times called “operas great 25-year-old hope,” is about to premiere his latest work at the Lincoln Park Zoo in Chicago. His opera Second Nature was commissioned by Lyric Unlimited, a new initiative of the Lyric Opera of Chicago that brings opera to the community. While Aucoin isn’t trying to be the next Mozart, he is trying to bring opera to broad audiences through projects like Second Nature. Watch the video above to hear what he has to say about his new opera. 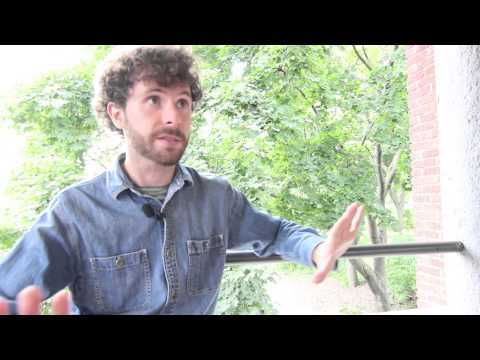 To hear more from composer Matthew Aucoin on his new opera, be sure to catch his interview with Eddie Arruza from our sister station, WTTW, on their website. To learn more about upcoming performances of “Second Nature” and to reserve tickets, visit Lyric’s website.